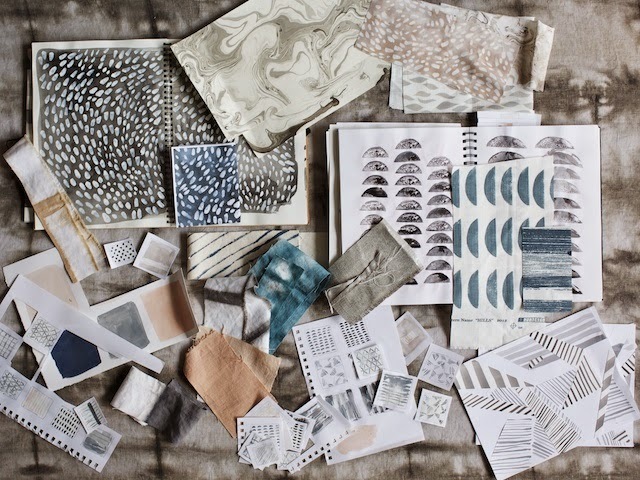 Design Addict Mom: Introducing Rebecca Atwood The Howland Fall Collection. 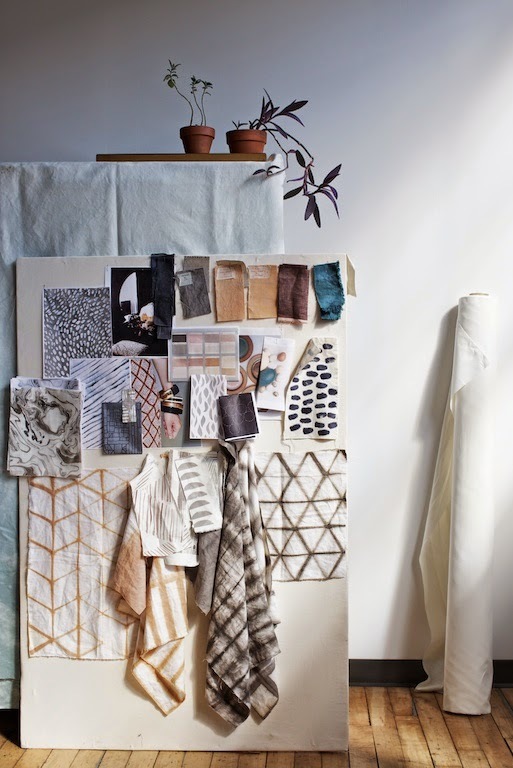 Introducing Rebecca Atwood The Howland Fall Collection. The fall collection began on a crisp autumn morning. It was a morning where milk turned a warm cup of coffee into that perfect latte color. It was a morning where light danced across the bedroom walls, creating ever changing patterns. As morning gave way to afternoon, smoky grey shadows cast long grids along the sidewalk, and weathered steel reflected the soft luster of the late-morning sun. A day in the studio is spent creating potato prints, marbling paper and working through ideas in a sketchbook. By the end of the day, the light had shifted, casting everything in deep blue-green hues. 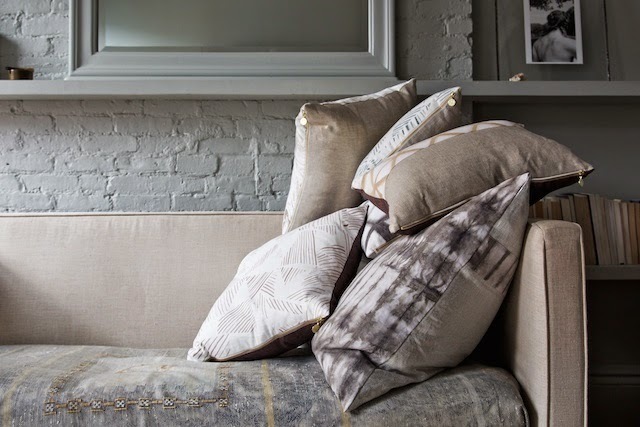 Naturally dyed shibori linens, subtle metallics, hand-painted marks and an array of rich neutrals layer together to create this thoughtfully crafted assortment of patterned pillows. Luxurious but relaxed, these artful works are made to be lived with and enjoyed. 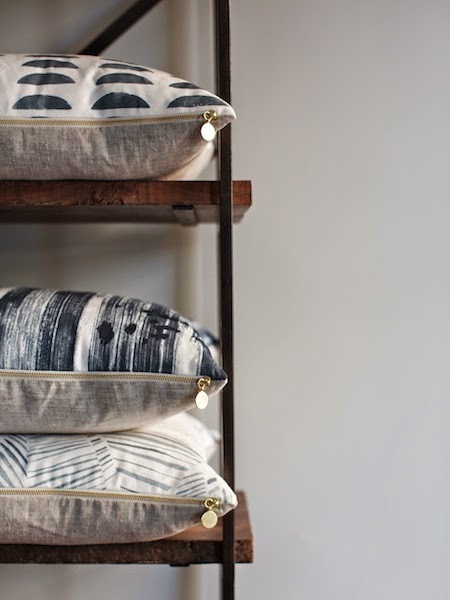 I am loving all the naturally dyed shibori styles, painted watercolor designs, marbleized swirls, metallic linens, and screen printed pillows. Such a lovely assortment, don't you think? See the entire collection here. I'm in love too Stacey, especially the marbleized swirls - perfect for Fall! Great prints and I checked out Rebecca's blog too - there's some cool stuff on it. This prints are something ! Good evening dear Stacy! Those pillows are just so comfy. This is great nesting weather décor!! 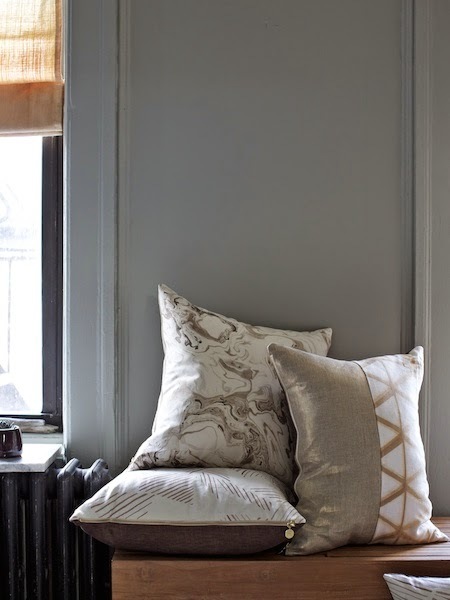 These pillows are amazing, Stacy - adore the prints! Stacey, these really are beautiful! 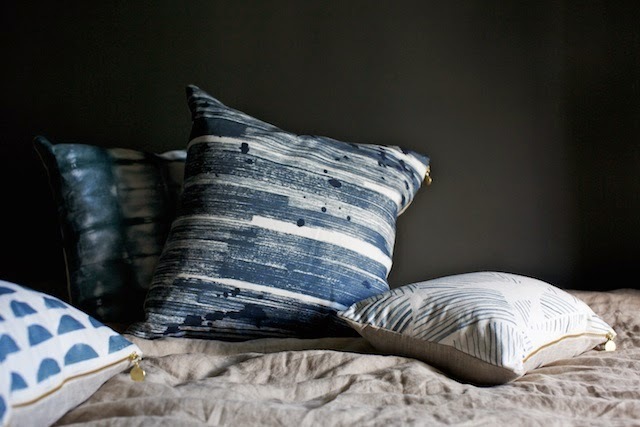 I think the marbleized pillows are my favorite, and I really love the indigo colors. Thank you for sharing here, sweet friend! xo. 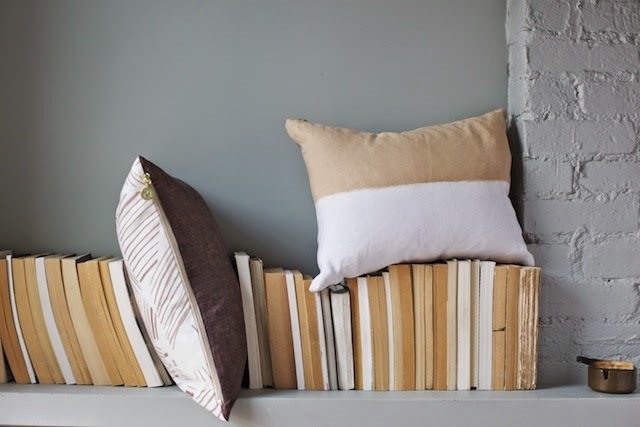 I love the dreamy, neutral colors in this collection! Thanks for the introduction dear! I love Rebecca's textiles they are bohemian yet work in any eclectic setting! !